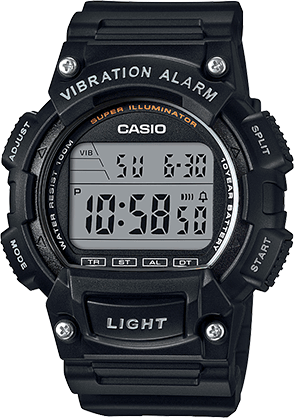 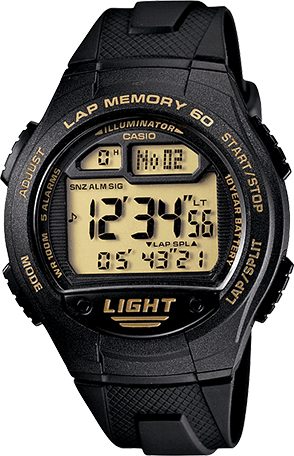 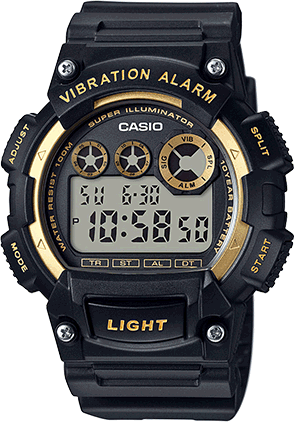 With solar power, 100 meter water resistance and 120-lap memory, the WS220 from Casio is a useful tool for tracking your workouts. 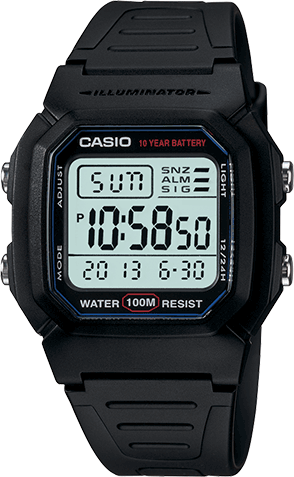 Its easy-to-read wide face design provides at-a-glance information when you’re on the go and with dual countdown timers, you can split up your “go” time for interval training. 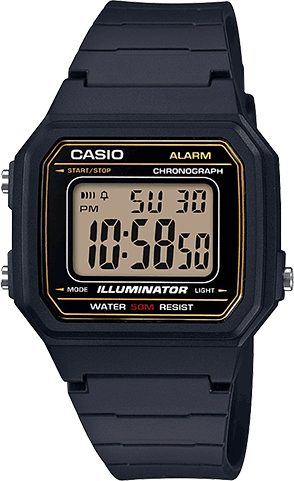 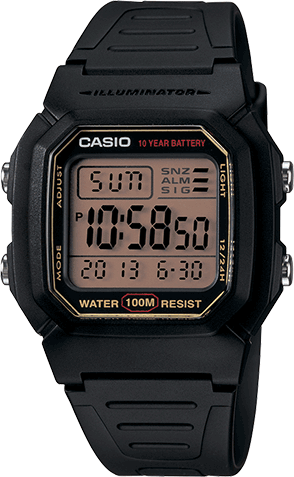 Black resin band digital watch with a neutral face.